The matching bulb is included! 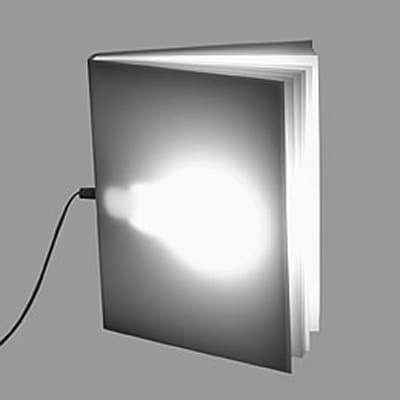 Humorous table lamp in the shape of a book made ​​of white plastic, which is available as a pendant light BookLight HL in our store too. Of course this light is, as all Tecnolumen originals, provided with the Tecnolumen logo. Do you have a question about "BookLight TL VW 96"? How can we contact you?